See Title. I would think knowing about the mythology of the Mesoamerican peoples (especially the Maya) would be useful for the Mayan Scenario of End Of The World. There is a call of cthulhu scenario called "A RESECTION OF TIME. It has a little twist between cthulhu Mythos and the the mayans.. Maybe this Book is hard to come by these days because it was printed back in 1997. But if you wait for the wrath of the gods lm sure that all the background information you will need to play will be in the game! The scion rpg community has a member named GriffinGuy that studies mesoamerican lore and has done a few good supplements. You might want to give him a try. I tried to enter the name as you listed it to contact him via pm and I got an error message. Did you give me the correct name? Sorry GriffinGuy24 is his username but i just call him GriffinGuy on the forums. 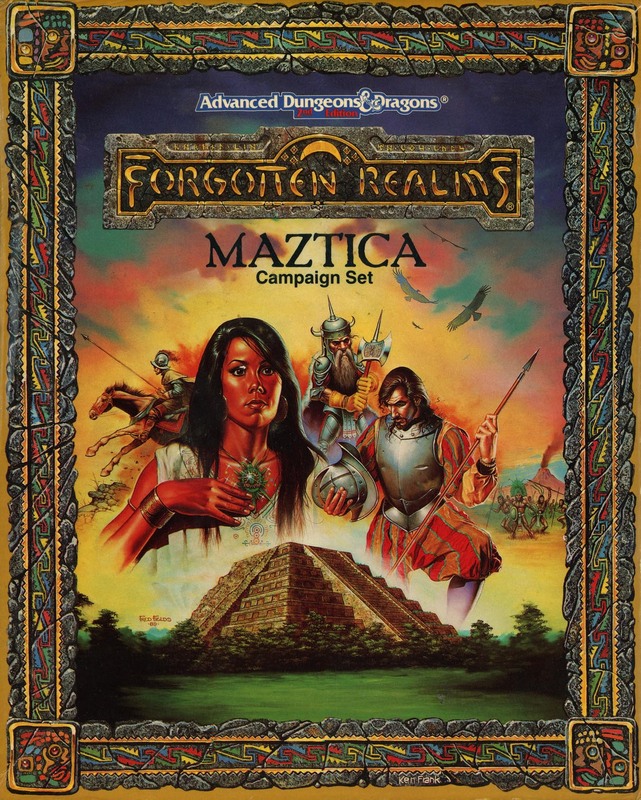 Maztica series for forgotten realms. But why don't you wiki the actual mytholgy of the mesoamericans? Ok they obviously have no stats, but do you really want to stat the gods in your scenario? If you really want to have stats for the aztek pantheon you could track down Supplement IV Gods, Demi-gods & heroes for D&D or RIFTS conversion book 2, Pantheons of the Megaverse. Check your local library for Mesoamerican Mythology. In particular look for a book titled "The Flayed God." You will probably find more in a college or University library if you have access to one.